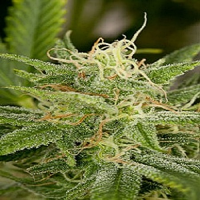 Original Amnesia autoflowering is a precious large and vigorous plant that grows a lot and very fast, with large sativa looking leaves. 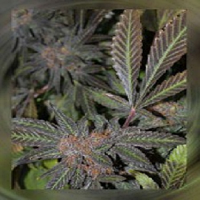 The internode distance facilitates a broader illumination on the whole plant, leading to large size buds. 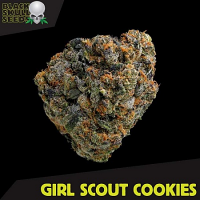 It is an autoflowering with clear sativa predominance, easily visible in the quality and quantity of its buds. Buds look like a fox tail, that´s how big they get. Indoors you have to monitor the plant because it gets really big, up to 5 feet in good conditions. It matures more progressively than other autos and it might need 85 days since it is germinated to produce 150 grams in ideal conditions. It is better to give moderate levels of EC because it is a plant that produces a perfect flavour when given medium level of nutrients. 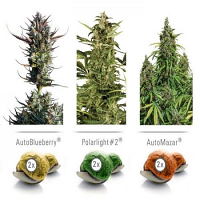 Amnesia genetics are well known for its strong effects and high yielding and its auto sister lives up to fulfil the expectations, since it´s effects are the most powerful of our autoflowering strains.